The Cartola FC is a fantasy game created and established by Globo.com since 2005. 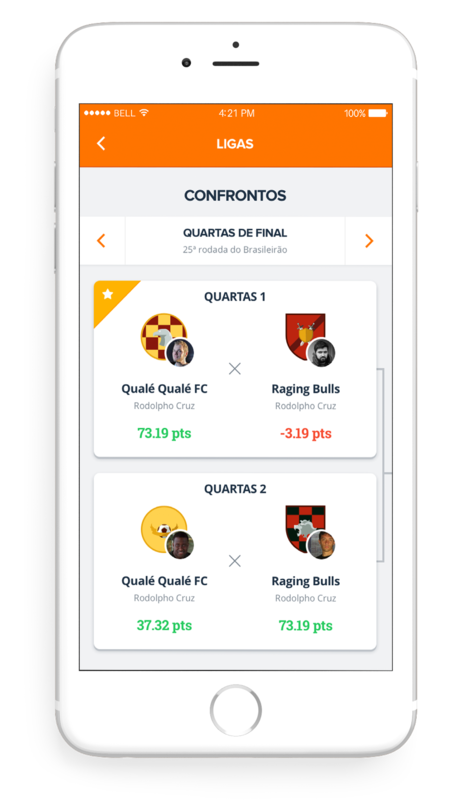 The Fantasy Game is based on official statistics of the players and coaches participating in the Brazilian soccer championship. 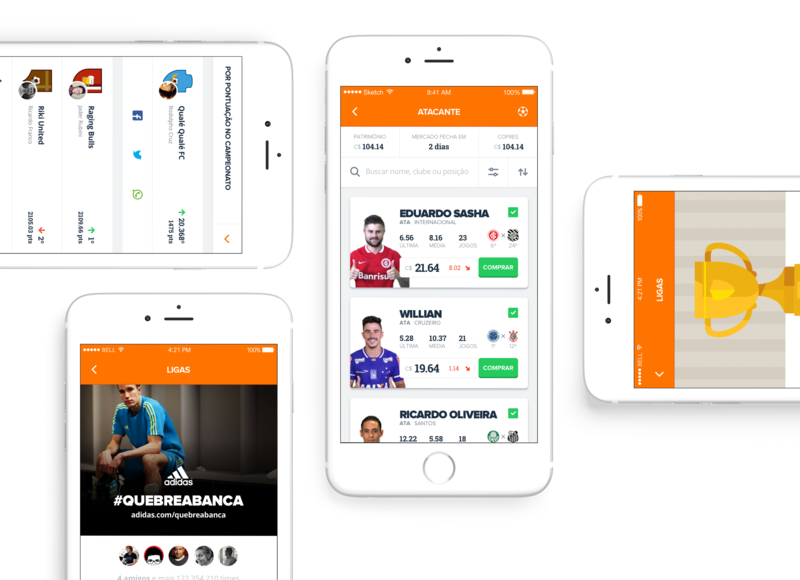 This project came to us to work directly with the globo team designing the new experience behind Cartola FC. 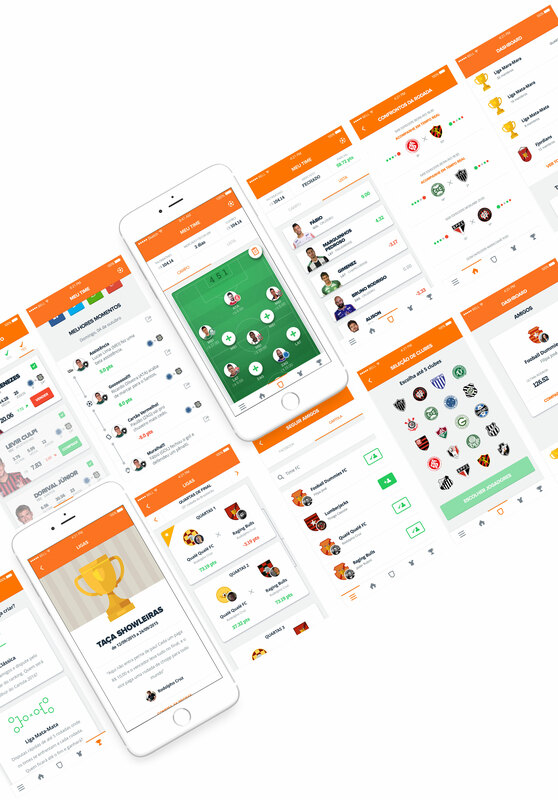 Me and my team were responsible for defining a new mobile experience adapting the current rebrand of the game. 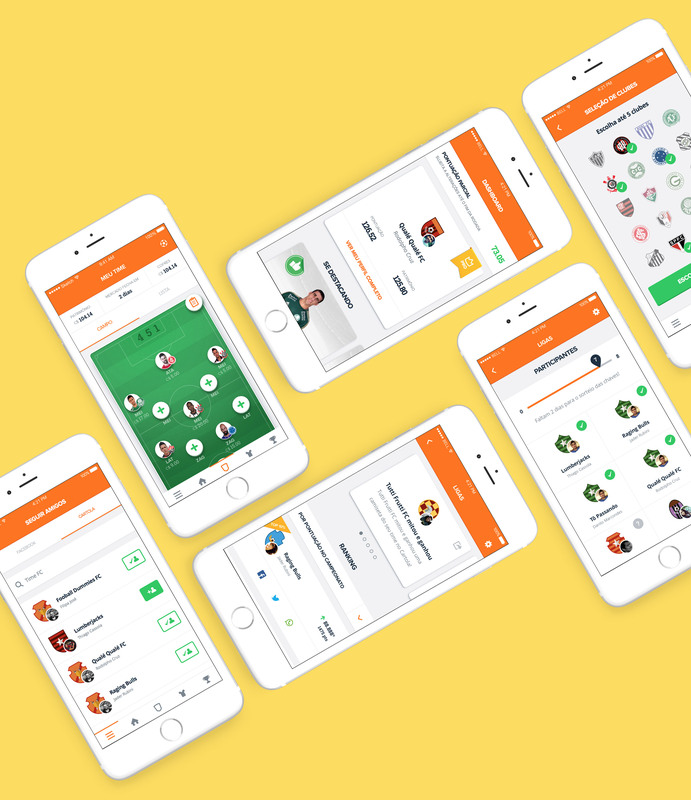 Meet the users is essential when you are designing complex and extensive products. The Cartola FC is running since 2005 with more than 3 million players around the country so the first step was get deep inside their world. A massive interview process was necessary to identify their main necessities and how we should work for a future experience. Working directly with the globo.com team we led a full day activity to get more details and understand how our expectations were aligned. 8 hour of activities designing solutions and solving problems to develop tangible proposals for our work. After an accurate analysis of objectives and consumer behaviors we were ready to spend some time building our main flow that became a piece of simple and functional architecture. Splitting the navigation through a primary and secondary menu was necessary to keep the navigation strong and clever following the new features. Working closely with Interaction designers since the beginning is definitely the best way to keep a strong workflow working day by day. On this phase we started the first sketches where we could prioritize the features and hierarchy already working on a pre-design system with grids and proportions established. Working on this way is helpful because we can keep the consistency when we move forward to the visual design phase. 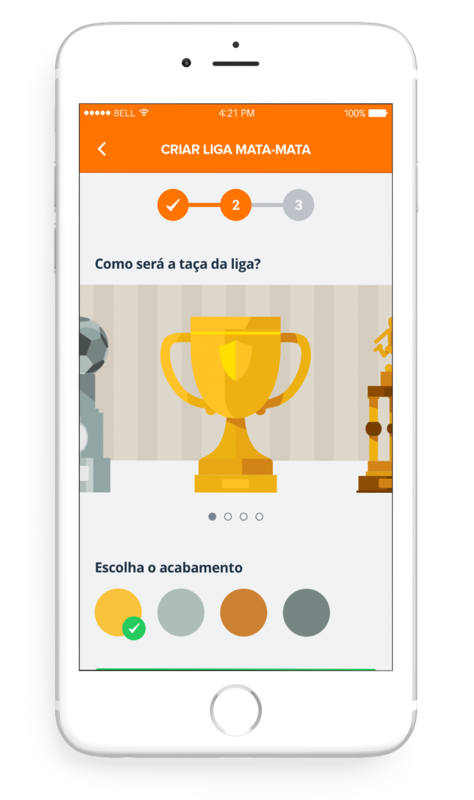 We wanted this App to really reflect the bright colors of the new Cartola brand. Some elements and styles as the typography system was well established by globo.com for the new Cartola FC so we just kept it. New tons of colors were added to support this new mobile experience as new tons of gray to provide a better readability between text and backgrounds. One of the core challenges in this project was to come up with a good and friendly way to show the player informations using a simple card. We designed more than 8 options using different ways to express each information. After a few days of iteration and tests, we had a solid direction that helped us to design the rest of scenarios. 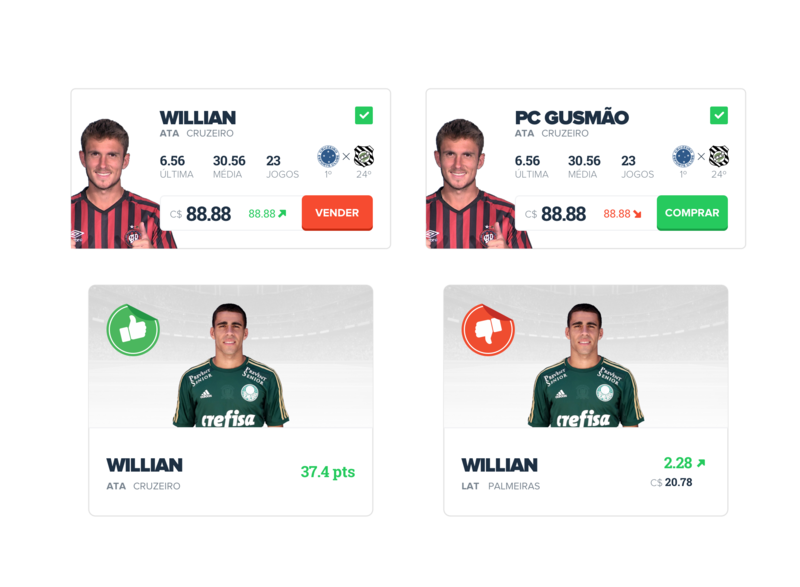 We found a good opportunity to redesign the experience around one of the most important features around Cartola: buy players. The recognition of each player should be easy and fast. 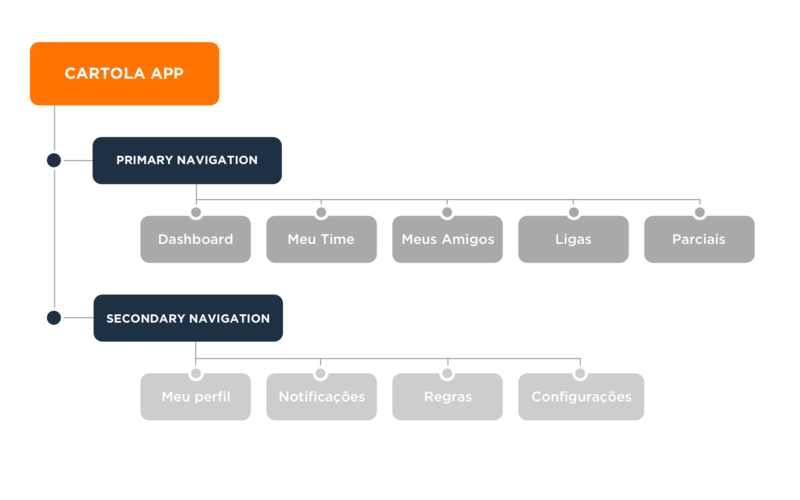 Following these principles we designed a new flow where the user can easily compare and access all the information about the players. The top bar shows your team's price and your current value based on the players you're buying in real time. Just one tap and you can filter the players by price, team and current state. After some experiments we developed 2 new ways ('Field' and 'List') of visualization and comparison. We found the best way to navigate between them using simple and clear tabs. 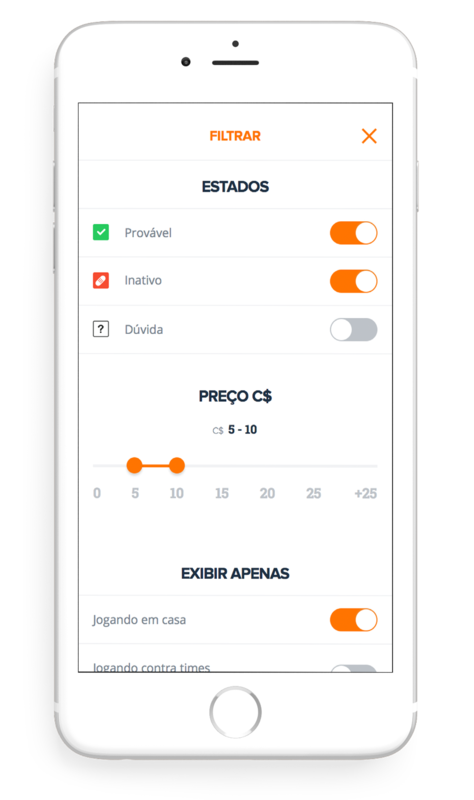 I used Principle App to prototype and build each micro interaction and navigation flow. The League feature was introduced on this new version. Basically the players can create custom leagues to play among your friends. The sponsored leagues are special and reward the winners every week. Every week you will play directly with your friends following the league rules. The winner wins awards from the official sponsors like Adidas and Nike. A clear and simple to create a new league. Only 3 steps and you are ready to invite friends and start to play with your new league. Cartola needs to be more social. It means a strong connection with social networks since the users are always talking and posting about the game using unofficial ways. Comparing your results with your friends in real time with a possibility to share directly on your social feed was a method to keep the game working even outside the app. The new Cartola FC was launched - with much pride - in June 2016.
that will keep the game innovative.